Hygiene is definitely at the top of the list of priorities while traveling, and the one thing you always need is a toothbrush. You don’t want to always have to remember to pack one, so having a travel toothbrush is the ideal solution. The Mouthwatchers Foldable Toothbrush is made with Silver Bristle Technology. Usually, bacteria doubles every twenty minutes on a regular toothbrush. The Silver Bristle technology on this toothbrush eliminates 99% of bacteria in 6 hours or less. 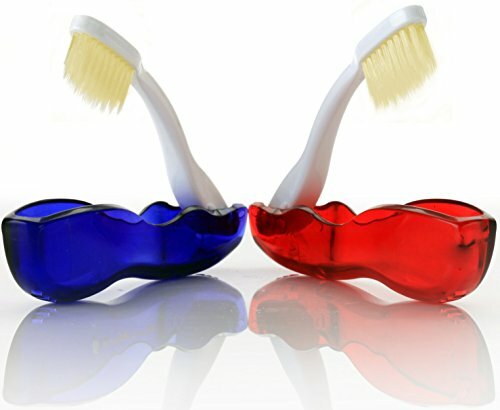 The brush is made with revolutionary Two-tiered Flossing Bristles. These bristles measure 1 micrometer at the tip, meaning they can quickly and easily reach spots most normal toothbrushes can’t reach.